Available in ratings from 30 - 100 hp, Belle MotorsT are ideal for many industrial, agricultural, mining, municipal, and oil& gas applications such as pumps, compressors, injection wells, as well as blowers, fans, dryers, water & wastewater processing and more. Single Phase Power Solutions has introduced the world's first 100 hp single-phase electric motor. The Belle Single-Phase Motor uses Written-Pole technology to deliver a 100 hp single-phase motor that is compatible with readily-available single-phase utility services. The utility-friendly starting and operating characteristics provided through the use of Written-Pole technology minimize voltage sags and flicker on long single-phase distribution lines. Ideal for industrial applications in areas where three-phase power is not readily available or cost-effective, this revolutionary technology eliminates the need for phase converters or complex variable frequency drive installations. Featuring a totally-enclosed fan-cooled design in a cast iron frame, this proven design is suitable for indoor or outdoor installation in some of the most demanding environments and applications. Rated as a 100 hp, 460 v, 1800 rpm electric motor, this innovative design delivers 95.5% efficiency at rated load with a near-unity power factor. The NEMA 449T frame motor weighs about 2,700 pounds and draws just 170 amps at full load. The motor windings are fabricated using high-grade copper and Class H insulation materials similar to those used in premium three-phase electric motors. The revolutionary design eliminates brushes, slip-rings and internal rotary switches, ensuring superior performance and reliability under harsh conditions. 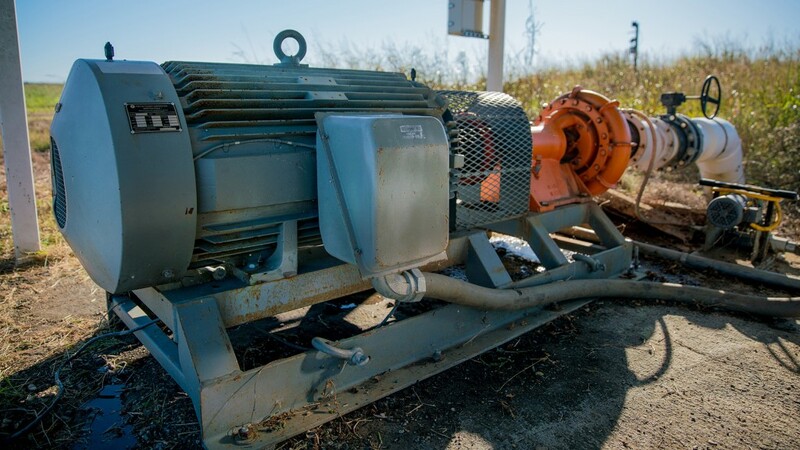 Available in ratings from 30 - 100 hp, Belle Motors are ideal for many industrial, agricultural, mining, municipal, and oil & gas applications such as pumps, compressors, injection wells, as well as blowers, fans, dryers, water & wastewater processing and more. The starting current draw of a Belle Motor is less than two times its rated full-load current, resulting in a starting demand that is less than 1/4 of conventional single or three-phase electric induction motor. The soft start design, accomplished without reduced-voltage starting, dramatically increases the maximum horsepower rating that may be started and operated on rural single-phase utility distribution systems. Each factory-assembled and tested, industrial-grade Belle Motor Control Panel contains all the control components required to start and operate a Belle Motor. Their simple design and spacious outdoor rated control cabinet allow for easy field installation using local electricians. High-grade industrial control components are used in a capacitor start/run configuration that uses intelligent logic to optimize starting and running performance. Over-temperature, under-speed and over-load protection supported by intelligent diagnostics are also included as standard features in every control panel, further easing installation and ensuring long-term reliability in the field. A Belle Motor can serve as a cost-effective replacement of stationary engines used to power many rural applications. The ability to use readily available single-phase utility services for electric motors up to 100 hp allows for a 50-75% reduction in energy costs, simplified environmental compliance, reduced maintenance requirements and superior long-term performance. Refueling schedules and monitoring are no longer a concern when using Belle Motors.